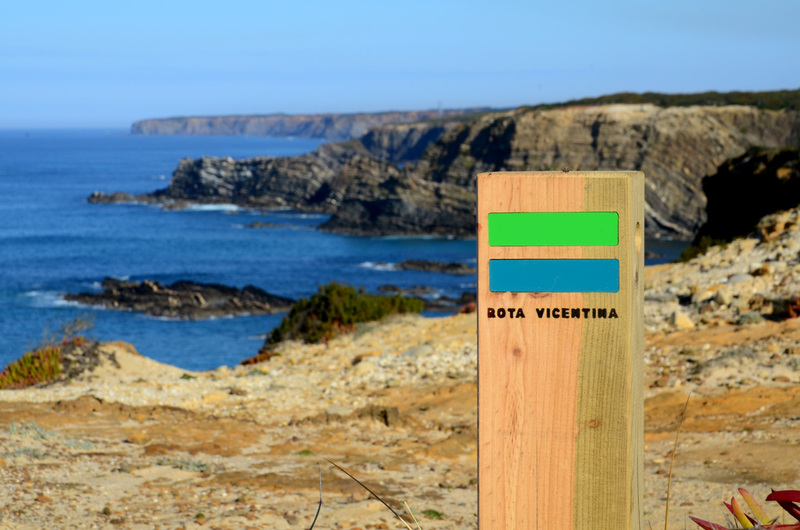 Walking the fisherman’s trail on the Costa Vicentina with guide. Walking the fisherman’s trail on the Costa Vicentina with guide.Walking the fisherman’s trail on the Costa Vicentina with guide. Always running along the coastline, it follows the trails used by locals to get to the beaches and hot fishing spots. It is a single track along the cliffs,with plenty of sand, which can only be travelled by foot, and more demanding from a physical point of view. A challenge to a permanent contact with the ocean winds, the harsh coastal scenery and the wild and powerful natural landscape. It comprises a total of 4 sections and 5 complementary circuits, totaling 120 km. Walking this trail will give you a true “back to nature” experience where you will be able to reconnect with yourself. Joao from Casinhas da Figueira offers guided tours along this route. Please feel free to contact us for any informations. We can tailor the tour to your wishes. Before and after the hiking you can take a rest for a few days at one of our holiday apartments. Casinhas da Figueira, What does it mean? !